From the release of his critically acclaimed album, DAMN., to cleaning up at the MTV VMAs, Kendrick Lamar has had an impeccable 2017 (with three months left to go, may we add). According to a new report from Hits Daily Double, the Compton emcee has really done some serious streaming numbers this year, with five of his songs making the cut on a list of the 50 most streamed songs of this year thus far. 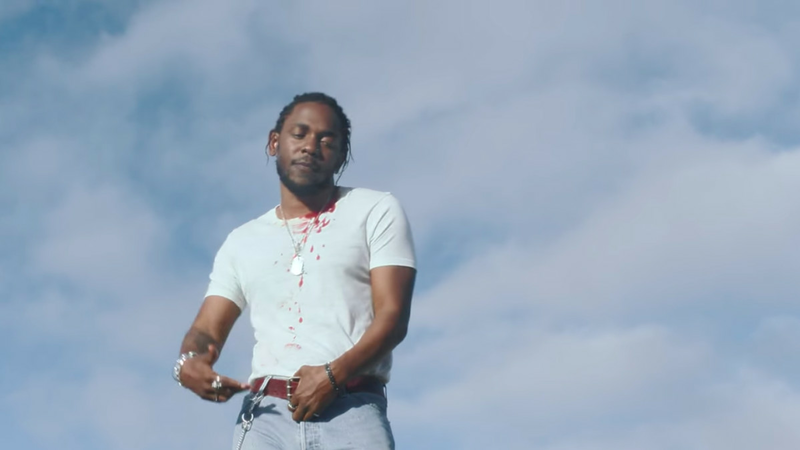 As reported, Lamar's "Humble" is the second most-streamed song of the year, right behind Luis Fonsi and Daddy Yankee's "Despacito." The T.D.E. rapper has four more songs on the list, with "DNA" (No. 15), "Love" featuring Zacari (No. 27), "Loyalty" featuring Rihanna (No. 39) and "Element" (No. 48), all making the impressive list. Additionally, Drake has four songs on the list, including one in the top 20, with "Fake Love" ranking in at the No. 17 slot. "Passionfruit" (No. 19), "Portland" featuring Quavo and Travis Scott (No. 24) and "Gyalchester" (No. 47) are also on the list. Take a look at TDE celebrating Kendrick Lamar's latest victory below.